Fiction-Atlas Press is pleased to present its very first publication, Chasing Fireflies: A Summer Romance Anthology. We need your help to reach our goal of 60 pre-orders by our release date (July 1st). 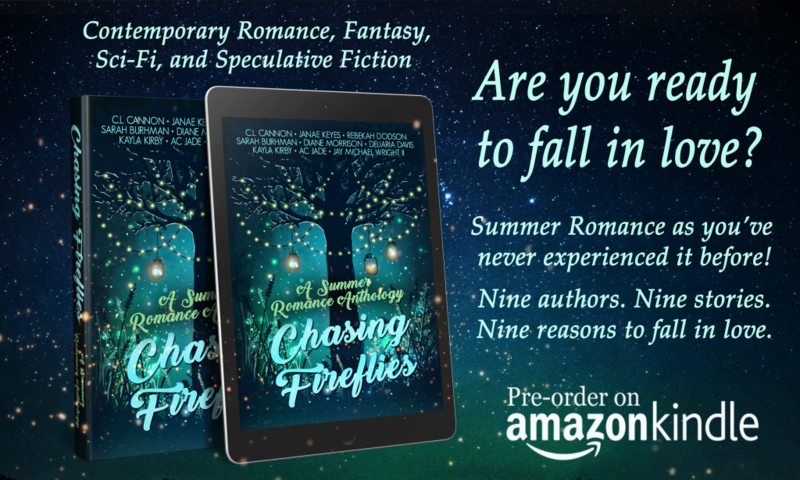 Chasing Fireflies is a collection of nine summer romance stories from all genres including contemporary, sci-fi, fantasy, and speculative fiction. We would love it if you could give our HeadTalker campaign some support. This entry was posted in my books, Press, Promotion and tagged anthology, chasing fireflies, new release, pre-order. Bookmark the permalink. ← Welcome to the AAYAA Summer Scavenger Hunt!